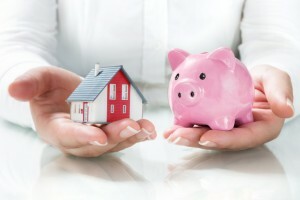 Is a Fixed Mortgage Rate Right For You? After months of searching the internet for listings, calling Realtors, and viewing property, you’ve finally found the house that’s perfect for you. Congratulations! Unfortunately, your work isn’t over yet. Once you’ve selected the house you want to purchase, you will need to find a way to pay for it. A mortgage is a loan granted by a home mortgage lending company to an individual who seeks to buy a house. There are many different types of mortgages that a home buyer can apply for, but fixed mortgages are by far the most popular, representing over 75% of all home loans. Read on to learn the basics of a fixed-rate mortgage, and find out why it might be the best type of home loan for your new home. Fixed-rate mortgages are a loan type where the interest rate remains the same throughout the entire loan. This means that the monthly payments do not change, unless there are fluctuations in property taxes, insurance costs, or homeowner association fees. Fixed-rate mortgages typically come in terms of 10, 15, or 30 years. The 30 year option is the most popular option, as it allows for the smallest amount of payments each period. Each month’s payment is calculated by multiplying the interest rate times your home loan premium, plus a portion of the premium itself as stated in your mortgage contract. Since the amount of your outstanding premium is reduced each time you make a payment, the amount of interest will also decrease. This means that more of your payments go into your mortgage as time goes on. Fixed-rate mortgages are the most popular due to their ease and predictability. When comparing between fixed mortgages, remember to calculate in other fees that buying a house may incur, such as closing costs. Closing costs are, on average, about 2% of your mortgages loan amount. Before choosing a fixed-rate mortgage, be sure to do extensive research on the different loan offers, and make sure to find the one that best fits you and your lifestyle.